I checked them all out and then paid cash money for Google Pixel 2’s smartphone. It was that biannual time again when I must buy a new smartphone. My Samsung Galaxy 7’s battery wasn’t holding a charge like it used to, and it was getting a little slower and crankier. So I started looked at the new generation of smartphones. And, after considering both minor- and major-league smartphones such as the Samsung Galaxy 8, iPhone 8 and iPhone X, I got a Google Pixel 2. Why? Well, let me start with why I rejected the other big-name phones. First, the iPhones’ software is trash. IOS 11 has had one bug after the other. Then there’s the fact that Apple deliberately and secretly slows down iPhones as their batteries age. With tech friends like these, who needs enemies? The iPhone X is also too large for my hands. If I wanted a tablet, I’d buy one. I’ve found the X to be really awkward. If you play basketball or piano, I’m sure you can use it. I can’t. As for the Galaxy 8 family, I find it, like the iPhone X, to be too large to be comfortable. Then, there’s Bixby, Samsung’s answer to Siri and Google Assistant. Let’s just say that this answer failed in its first attempt and leave it at that. The Pixel 2 has good ergonomics. That’s a fancy way of saying that its 5.74-in.-by-2.74-in. size is comfortable. It has a fingerprint scanner in the back, which is easy to use. I pick it up, I’m in. No sweat. Its OLED, Gorilla Glass 6-in. diagonal screen with its 1,440-by-2,880-pixel display is a pleasure to view. The Pixel 2’s cameras, 12.2 megapixels on the back and 8 megapixels on the front, are great and work remarkably well in low light. And that was before Google activated its Pixel Visual Core, a new dedicated camera-image processor. I’ve been playing with Pixel Visual Core, and it improves my photos by giving them the HDR+ treatment. This makes any photos you might take with an app that uses Android’s standard Camera API better by taking a bevy of quick shots and then combining the best of them into the photo you see. It sounds quirky, but the results are great photos with vibrant colors. I am a lousy photographer, but even my shots turn out looking great. To activate the Pixel Visual Core, you need to be running the latest version of Android: Android 8.1, Oreo. Oh, and did I mention that as a Google flagship phone, my Pixel 2 came with Android 8 and it automatically updated to 8.1? This, to me, is one of the Pixel 2’s killer features. 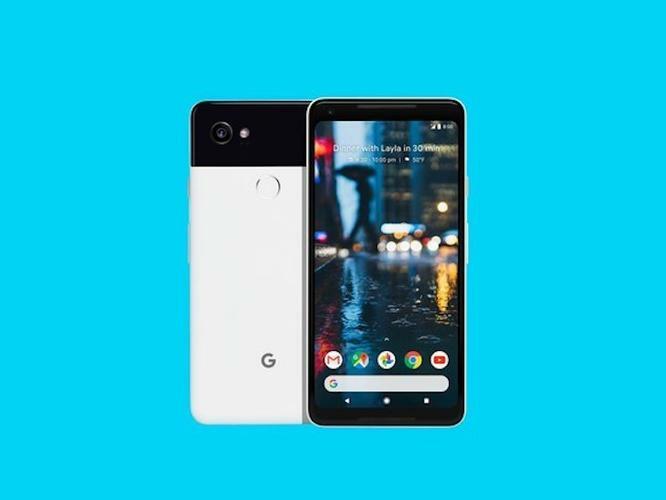 While other Android smartphones take forever and a day to get upgraded, the Pixel 2 gets the latest big updates and security fixes as soon as they’re ready for prime time. This is especially important for business phones. It’s bad enough when a security bug mucks up your phone. It’s an entirely different level of mess when your corporate mobile security is fouled up. I can’t recommend highly enough that when you upgrade your business phone, you should get a model that provides timely updates. You wouldn’t let your servers or PCs run without security updates. Why would you do any less with your smartphones? With endless Android security problems — what is this? Windows? — I want the newest, most secure operating system on my phone. And that’s what I get with the Pixel 2. Its other killer feature is the eSIM. While the Pixel 2 also has a traditional SIM slot, you can use the embedded SIM (eSIM) to switch carriers on the fly. Supporters of eSIM include AT&T, Verizon, Vodafone, Deutsche Telekom, Google Project Fi, Telefónica and T-Mobile. If you do a lot of business travel, especially international business travel, as I do, eSIM’s remote provisioning lets you switch networks, which can save you a lot of money. By the time I was finished looking at phones, I knew I had an easy call to make. The Pixel 2 is simply the best smartphone out there. At a list price starting at $599 and special deals for hundreds less from Verizon, I think you’ll agree.